Click the DONATE button below to easily pay your dues! 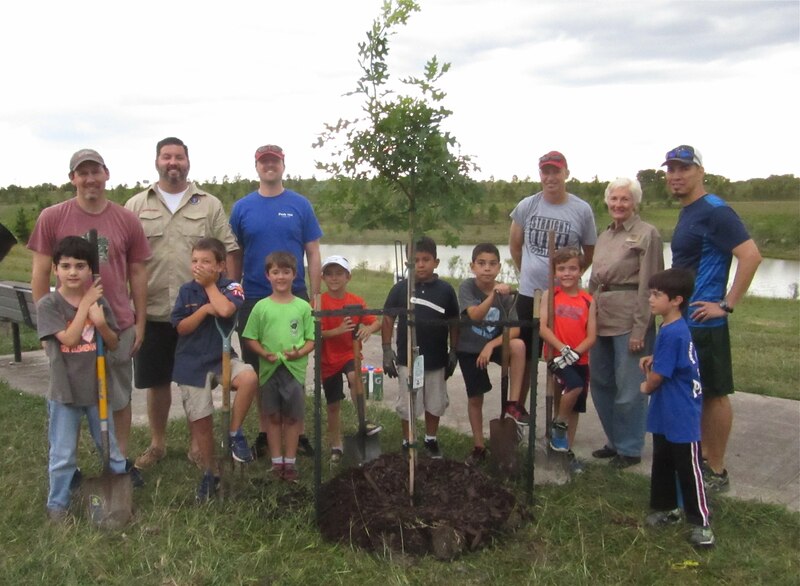 Tree donated in name of TMN On May 23rd, Cub Scout Pack 705 from Parker Elementary planted a Shumard Oak tree donated by Texas Master Naturalists in the Willow Waterhole Greenway. 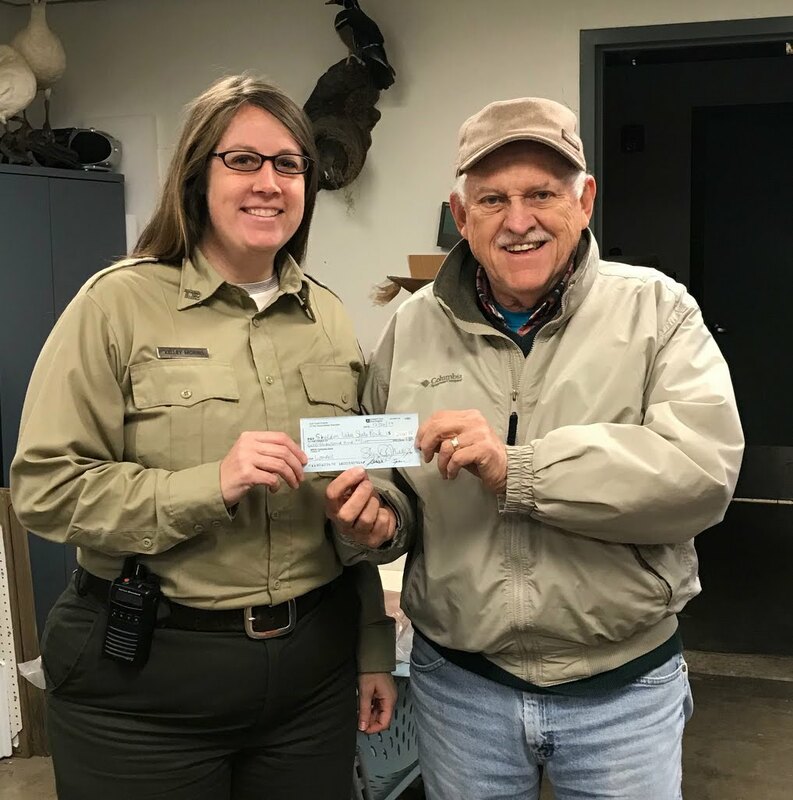 The tree planting was assisted by and Bill Burhans, Conservation Director at Willow Waterhole Greenspace Conservancy and Virginia Livingston, a Gulf Coast Master Naturalist and President of Westbury Community Garden. The site for the tree planting was near the Schwartz Gazebo at Westbury Lake and will provide shade for a park bench and be highly visible to all those entering the area. Thanks to the scouts, their parents, Bill Burhans and Virginia Livingston for enhancing the green space with a native Texas tree. Engaged Volunteers Make a Difference! 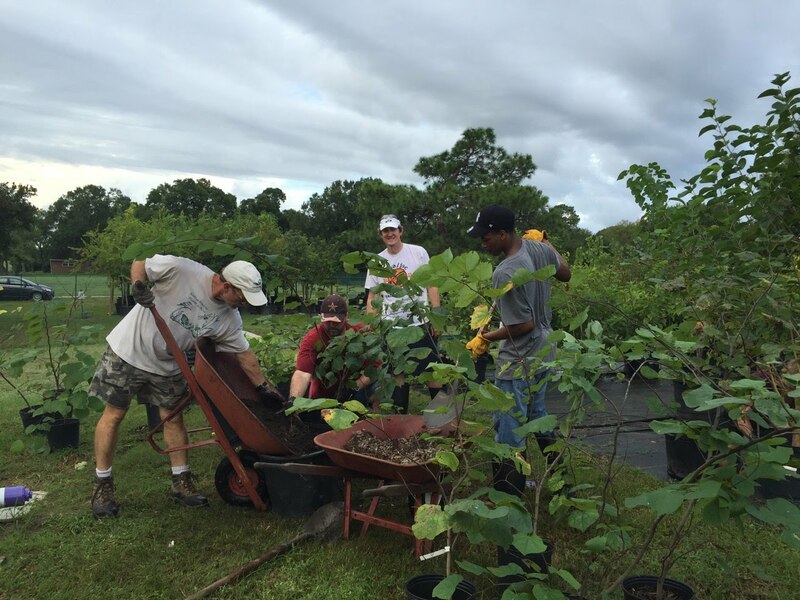 A record number of volunteers worked at the Exploration Green Native Wetland and Tree nurseries on Saturday. They included twenty-five students representing the Lee College IMPACT ECHS Spanish Club. Volunteers potted up and repotted plants and wiped out a massive weed infestation. Mary Carol Edwards informed us that the volunteers working in the native wetland nursery set a record today, potting up 446 water shield plants (Brasenia schreberi). We are all grateful to have so many young volunteers working at Exploration Green!